Deliciously luminous! 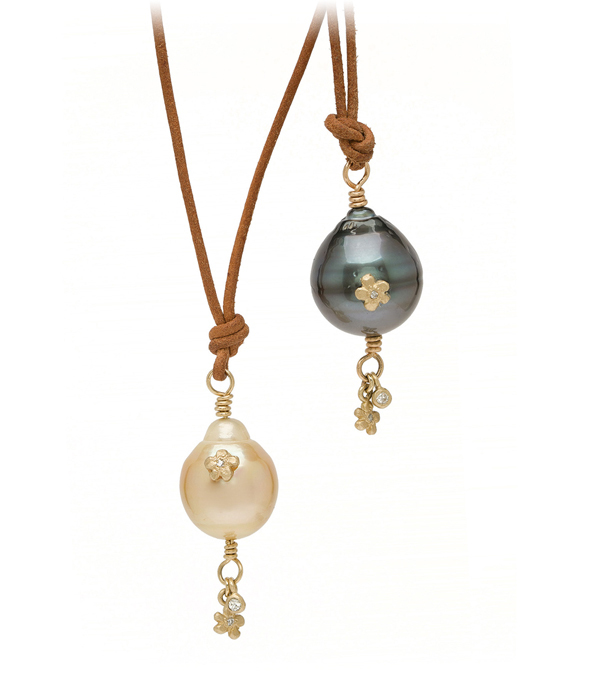 A golden black Tahitian baroque pearl is ornamented with tiny golden flowers and a dangling diamond pod (0.06ctw). Every pendant is slightly different due to the unique nature of each pearl. 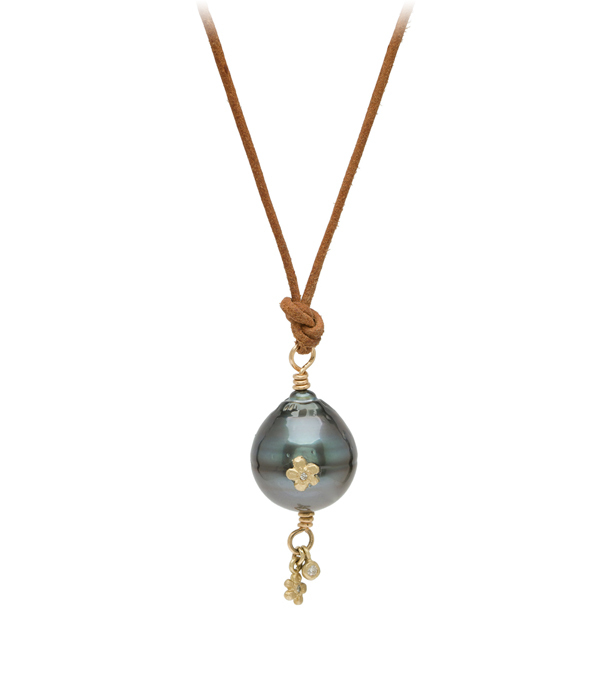 We love this pendant on a simple leather cord. The ultimate in beachy bohemian chic!